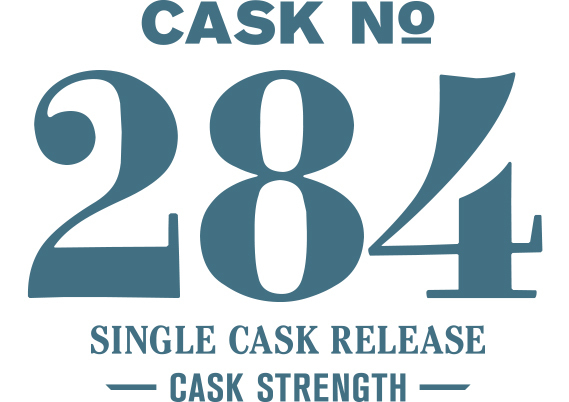 Cask #284 was bottled in partnership with The Jewish Whisky Company after being hand-selected by their team for their Single Cask Nation series. Bottles were available exclusively as part of their membership program. The nose offers warming peat, overripe bananas in brown sugar, kettle corn and burnt caramel over roasted peanuts. An oily entry leads to a honeyed and leathery palate with toffee apples, cola syrup and the burnt caramel of the nose turning to lingering smoke, ash and pine on the finish.